Applications include: Hear Back PRO, DSL, LAN, Voice, Video, and Data. Meets 350Mhz 1000BASE-T gigabit specifications. 24 AWG UTP Stranded copper wire. UL approved, certified for all Hear Back PRO interconnections. 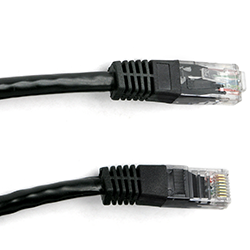 May be used in other applications, whenever Cat5E or Cat6 cables are required.